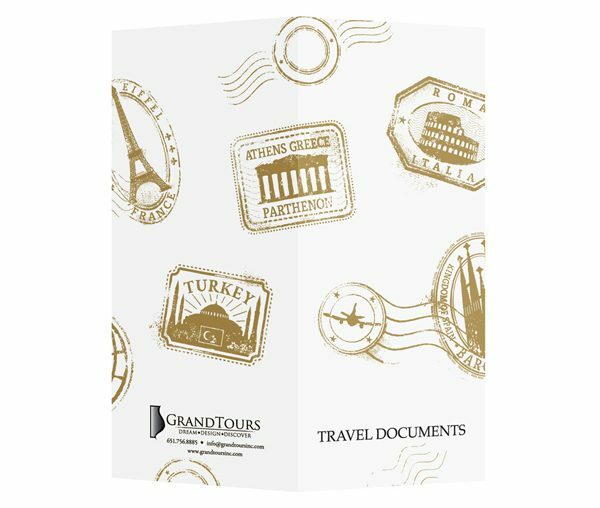 Grand Tours is a travel agency specializing in group tour experiences aligned with a particular theme, philosophy or curriculum of the client’s choice. 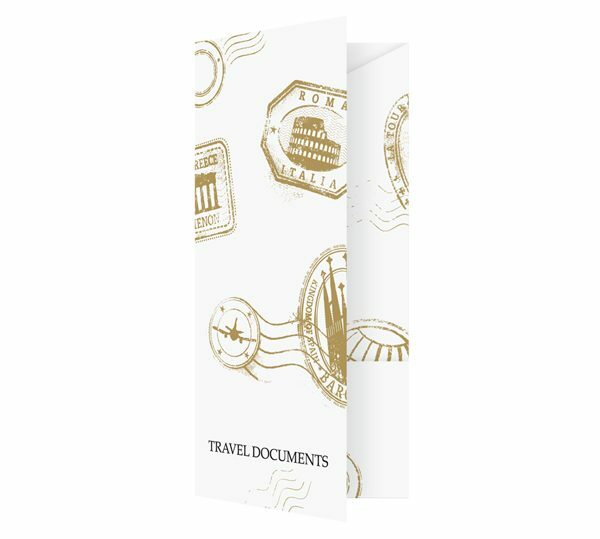 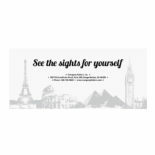 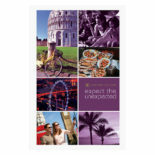 This document folder is used to present those clients with vital documents related to their trip. 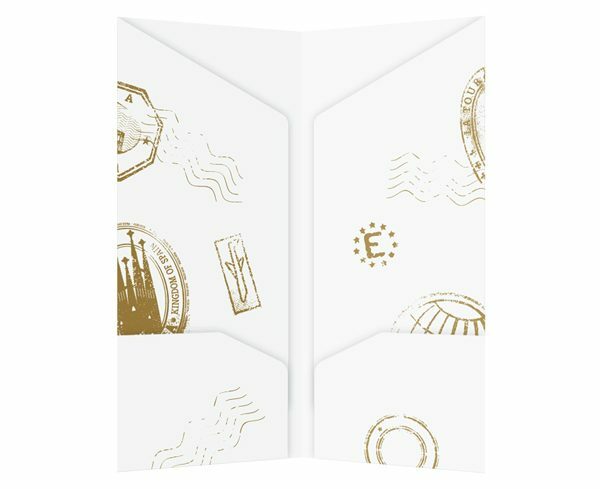 It’s designed to resemble a passport or the suitcase of a well-traveled explorer, with simulated stamps from a wide range of exotic locales. 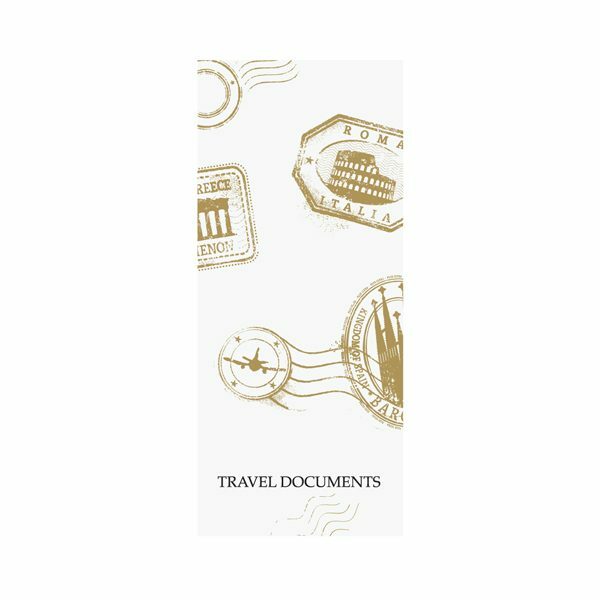 The interior includes four pockets of varying heights, allowing documents of different sizes (such as tickets, checks, leaflets or room keys) to be inserted comfortably. 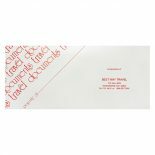 Size Closed: 4" x 9 1/4"
Size Open: 8" x 9 1/4"
Stock: Bright White Felt 80lb.